I don't watch TV. It didn't start out as a conscious decision. I grew up watching TV, and my family embraced commercial free cable TV back in the early 80's. Over the years, the price of watching cable TV increased insanely so I just decided not to pay for TV anymore. I have been using that time doing many other activities including this blog and the farm. Tonight I decided to take a break from reading. I thought I would watch something on Hulu.com. I browsed through pages and pages of TV shows and nothing really piqued my interest. 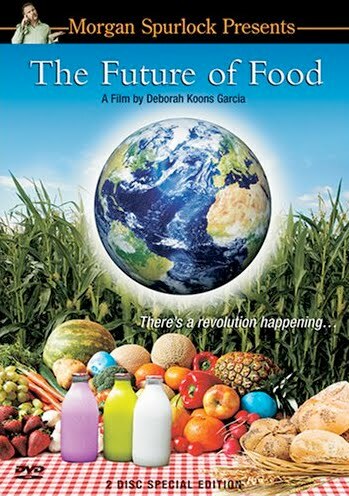 Somehow I stopped at The Future of Food, a full length documentary. I had no idea what the movie was about other than it's about food, and you know I love food. I had people questioning me why I grow my own food when the supermarkets have everything, and it's so convenient to just buy whatever I need. Some people even ask me why I make everything from scratch. There are many reasons, and I normally give one or two short and more obvious reasons since it would take a while for me to talk about all the reasons I am doing this. The Future of Food shows you why people like me are involved in and promoting urban farming. When you start growing your own food, you become much less wasteful. If more Americans are willing to spend a couple hours every other day growing a few vegetables either in their yards or patios, they will not need to go to the gym. People will be healthier in general, and it's better for the environment. The benefits are countless. Mushroom Hunting, a "Lethal Sport"